NEW BEDFORD, MA, October 30, 2016– Schaefer Marine has acquired Ideal Windlass Company, expanding Schaefer’s product offering and servicing existing Ideal Windlass customer base. Ideal Windlass Company, currently of East Greenwhich, RI, was founded in 1936 by the late Burton S. Raymond. Ideal’s growth was rapid and it supplied the U.S. Navy with windlasses and cable retrievers for sub chasers and mine sweepers throughout WWII and then through the Korean Conflict. At the same time the company was supplying most of the U.S. pleasure craft industry. Ideal’s client list over the years has included Bertram, Viking, Chris Craft, Tollycraft, Bayliner, Ocean Yachts, Broward, Burger, Hinckley/Little Harbor, Roscioli and Palmer Johnson to name a few. The company was then taken over by Burton Raymond Jr. and run since the 1970’s by his son Cliffe and wife Betsy. They prided themselves on superior customer service and custom capabilities to make Ideal a builder of top quality equipment. Ideal believes Schaefer Marine was the right fit for their company. We cannot think of another company we would sell to. Ideal and Schaefer have long shared a tradition of quality manufacturing and we know that will continue. Effective immediately, Schaefer Marine will continue sales of all Ideal Windlass products, as well as service existing models. Cliffe Raymond will continue in a consulting role with Schaefer, ensuring continuity and new product development. For over 35 years, Schaefer Marine has stood at the forefront of marine hardware design and construction, offering rugged, durable gear engineered to perform no matter how demanding the conditions. At Schaefer, we are committed to customers and dedicated to providing the highest levels of service and support in the industry. As a result, there is no name in marine hardware more trusted than Schaefer. For more information, please visit the website at: www.schaefermarine.com. If you would like more information about this topic, please contact Steve Majkut at 508.995.9511 or email at Sales@SchaeferMarine.com. Visit www.SchaeferMarine.com to learn more about the company. Schaefer chocks now available in new sizes! NEW BEDFORD, MASS. – April 1, 2016 – Schaefer Marine, located at 158 Duchaine Blvd. in New Bedford, Mass., announced today that they have released three new chock sizes for their customers. Very cool refit with our Schaefer furler! This Bristol 47 recently did a refit with the crew at Mack Sails that included the addition of our Schaefer furling systems. Check out the exceptional video of a beautiful vessel. The new Schaefer opening pre-feeders solve many issues on the bow of any racing sailboat. Our two-sizes cover boats in all ranges. The 45-06 is our non-adjustable opening pre-feeder with a computer machined finish for a smooth entry. The single pull opening feature allows for quick disengagement. The 45-07 Grand Prix design allows the flexibility to adjust for various luff tape sizes from #5 through #8. Both feature a hardcoat anodized aluminum finish for durability. NEW BEDFORD, MASS. – September 7, 2006 – Schaefer Marine, located at 158 Duchaine Blvd. in New Bedford, Mass., announced today that they have developed new M-Series Blocks made from anodized aluminum. Schaefer’s M-Series Blocks will be available in January 2007 in 66mm, 82mm and 100mm sizes in Singles, Webbing/Lashing Singles, Stand-Up spring, Halyard Lead and Foot Blocks. 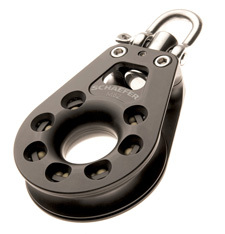 Schaefer is taking our well executed Winch Handle program to a new level. We have now ready for delivery our first Carbon Fiber 8” Winch Handles. The handles are manufactured from compressed Carbon Fiber. The ultimate strength achieved from the handle is exceptional and the weight is stunning. We show a finished weight of .508 lbs or 8.13 ounces. 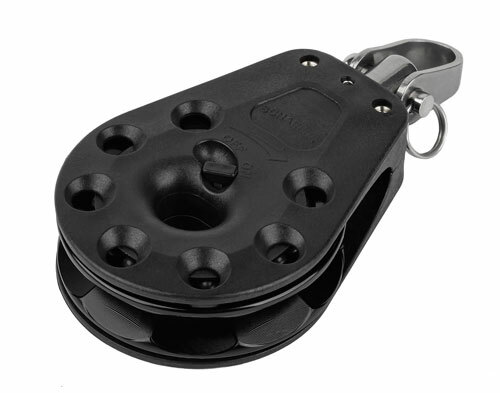 The ball bearing single grip ensures a secure and smooth grip. February 9, 2010 – – New Bedford, MA – – Schaefer Marine’s patented articulating mast track has been installed on the mast of the 203 ft. sailing mega yacht “Athos”, which will arguably be the most notable launching of a new yacht in 2010. “Athos”, currently being built in Holland, is 203 ft. long, displaces 370 tons and draws 30 ft. of water with the board down. Schaefer’s articulating sail track will allow the crew of “Athos” to furl her sails with full-length carbon battens, entirely into her boom. Fully battening a sail is normally only possible with the use batten cars. 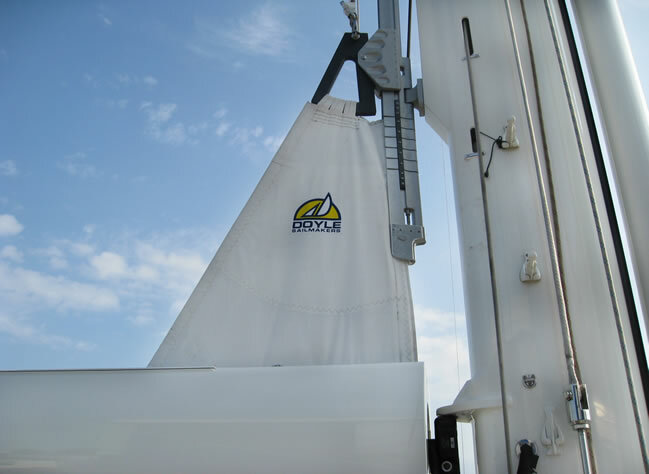 However batten cars cannot be used if the sail needs to furled into the boom, which is why Schaefer originally developed the technology for their own in-boom furling system originally designed for boats up to 53’ feet. 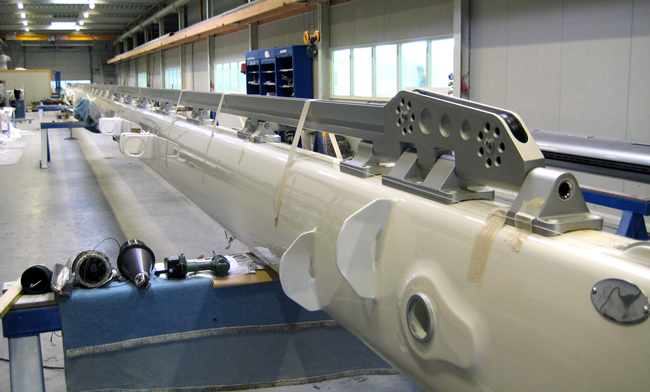 With Schaefer’s system, when the sail is furled into the in-boom the bolt-rope and battens simply slide down and off the lower end of the articulating track extrusion and into the boom. When underway, Schaefer’s entire track articulates so the batten ends and luff bolt rope move as one when the sail is trimmed. So the bolt rope, which otherwise would have been subjected to 750kg of forward thrust from the battens, is effectively protected by the batten ‘seats’ designed into the solid aluminum extrusion. The owner of “Athos” successfully tested the system last year on the 108 ft. “Shamoun” which resulted in adapting the same system to “Athos”. 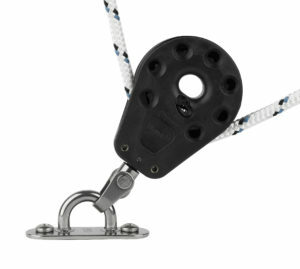 More information on Schaefer’s articulating track and in-boom furling system is available at SchaeferMarine.com. HENDERSON, NEW ZEALAND – Manson Anchors of New Zealand has appointed Schaefer Marine to distribute its product line in the United States. Schaefer Marine is a leading manufacturer and supplier of marine products to recreational and commercial accounts throughout the United States. “We are proud to form this association with Manson Anchors. Both companies are rooted in manufacturing high quality products and in servicing their customers with the highest degree of satisfaction,” said Fred Cook, President of Schaefer Marine. Established in 1974, Manson manufactures a full range of yachting, power boat, racing yacht and superyacht anchors. 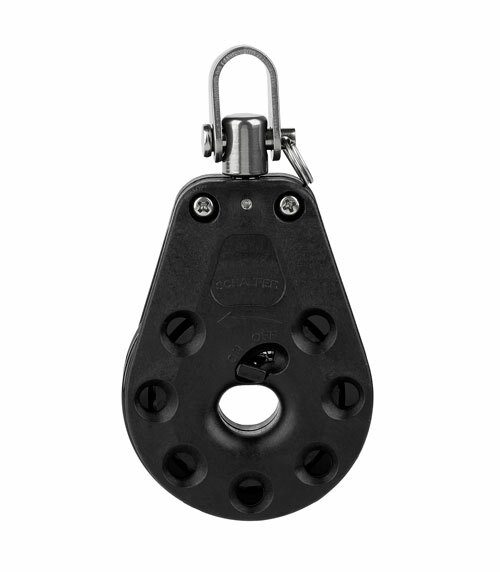 The newest Manson anchor is the Manson Boss, the company’s most technically-advanced, safest anchor ever. The Boss offers significantly more holding power in most seabeds. The shank, made from high tensile, Lloyd’s Register-approved (minimum 800mpa) steel, features the new patented shackle Preventa ™ and has been FEA optimized for strength. This puts weight in the right places with savings made in non-essential areas. The weight savings are transferred into the fluke to ensure even more holding power. 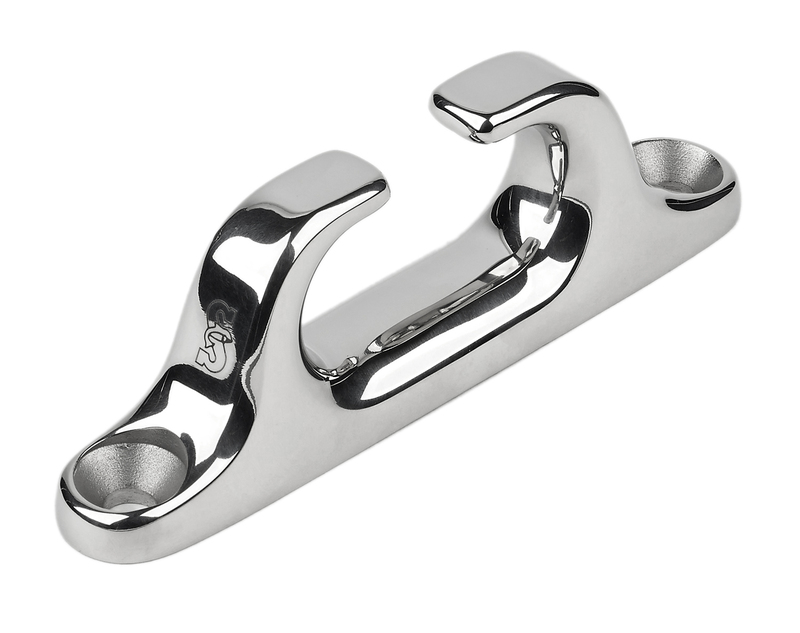 Manson Anchors are original equipment on leading boat brands and available at leading marine retailers worldwide. 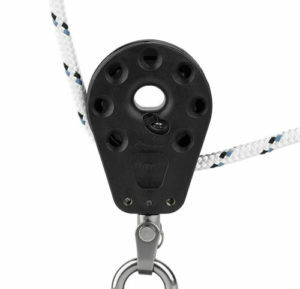 For more information on the Manson product line, visit www.mansonanchors.com. Dealers and distributors in the US interested in Manson Anchors should contact Schaefer Marine, 1+ 508.995.9511 or email stevem@schaefermarine.com.